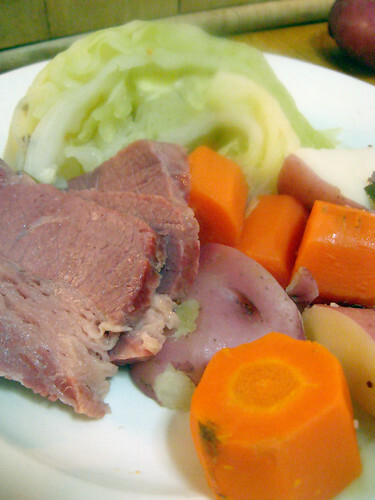 Boiled Dinner: Corned Beef and Cabbage! A mandatory Chicago statute requires each citizen to spend the weekend of St. Patrick’s day stinking drunk. We’re not ones to break any laws here, so true to form, this past Saturday was spent in all day drinking binge downing all manner of green beer and Irish whiskey. Sunday awoke with a bit of a headache and an inability to think straight. 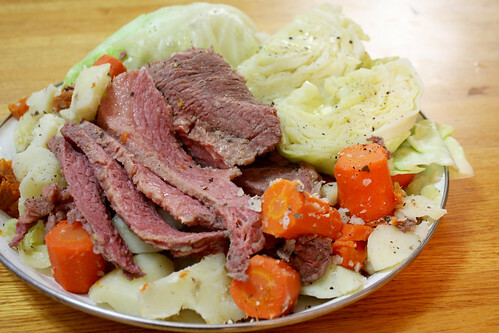 Luckily for us, the traditional St. Patty’s day meal of corned beef and cabbage is so easy to make, you don’t need to think much. The Irish have made sure their holiday meal is perfect for those cooks who have a beer magnate in their hand and no control over their right arm. You just throw everything in a pot and boil it together. Yums. 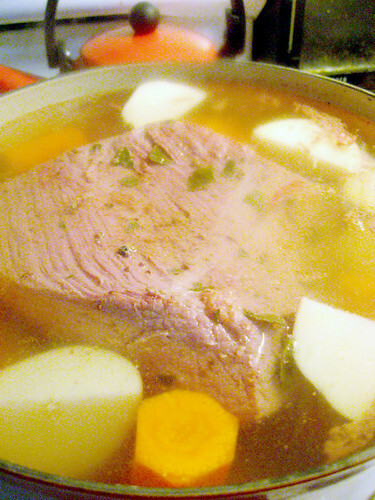 Place your corned beef in a large soup pot. Cover with water until completely submerged. 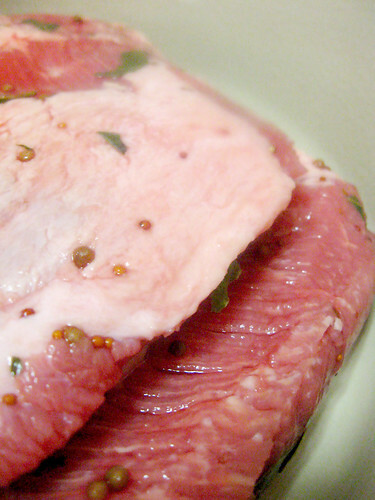 Usually the corned beef you buy from the store comes with a seasonings packet, which you can just add in. If for some reason yours doesn’t, just add 4 or 5 bay leaves and peppercorns and a bit of coriander seed to the water. 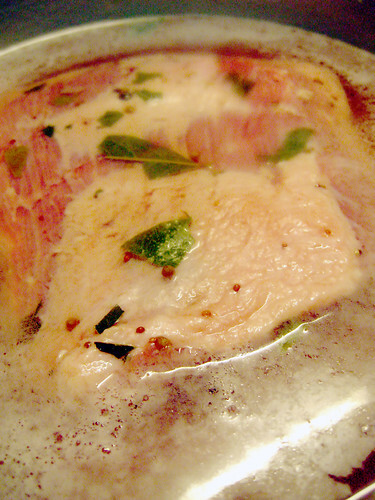 Bring to a boil and reduce to simmer for about 90 minutes. After 90 minutes, add the potatoes and carrots. Allow to cook for 20 more minutes. Test potatoes. When slightly cooked but not completely soft, add cabbage. Just set cabbage on top so they are mostly sticking out of water. 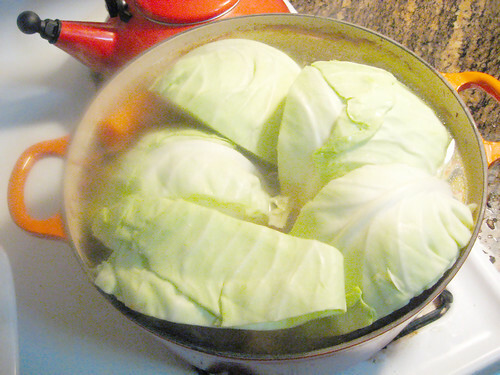 When we place the lid back on the pot, the cabbage will be steamed by the heat of the pot. 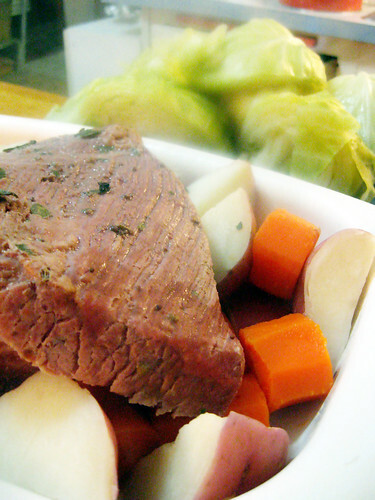 If you don’t have enough room in the pot for the cabbage, check your corned beef. If its done, you can take it out and set it aside and finish cooking the vegetables alone. Place the lid back on the pot and allow to cook for 15-20 more minutes or until the cabbage is steamed and the potatoes and carrots are cooked. Too hung over to style the food. Doesn’t matter anyway because this isn’t stylish food, but good peasant grub. Slice the corned beef and side with a dollop of mustard. Smear butter all over boiled vegetables and sprinkle with salt and pepper. Serve and eat. Meat and potatoes is the perfect meal for when you’re overhung. You can’t get more Irish then this! 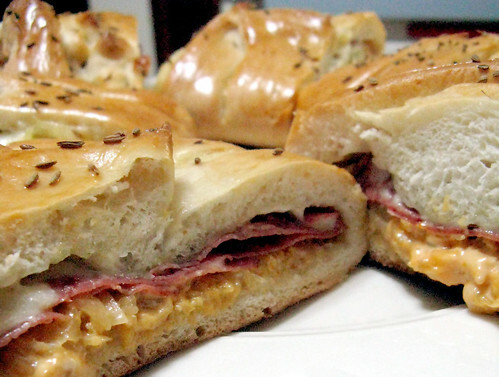 The Reuben has to be one of the most popular sandwiches of all time. I love it too. But, I hate the way it has so many layers, always falling apart. I want my sandwiches to be like an awesome jumpsuit, an all in one kind of deal. That’s why I love the Reuben loaf. Its all enclosed in a loaf of bread. One stop eating is the way of the future! Make your bread dough: Mix the dry ingredients in a bowl and make a well in center. Pour water into the well and add yeast and olive oil. The luke warm water will help the yeast to react faster. Allow the yeast to sit in the water for 15 minutes until dissolved and puffy. Add butter and mix ingredients together using the dough hook on a stand mixer or just using a wooden spoon. Knead bread dough: Kneed on a floured surface until well mixed and the dough feels smooth and soft (not chunky). Every time I make dough, it comes out a little differently. Sometimes it feels light and fluffy, in which case, I can move on to making the loaves. Sometimes it feels hard and very solid feeling, in which case, I’ll allow the dough to rise a bit before I roll the loaves out. You want the dough to be very pliable. If the dough can’t easily be stretched multiple inches without breaking, you should allow the dough to sit for a while in a warm area to rise before rolling out. Assemble your loaves: Cut the dough ball in half. 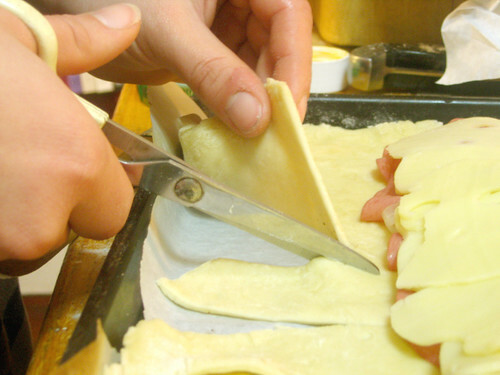 Roll out each dough ball into a rectangle ~9″ x 14″ to fit the base of a large baking sheet. Pour 1/4 c. of thousand island dressing down center of dough rectangle. 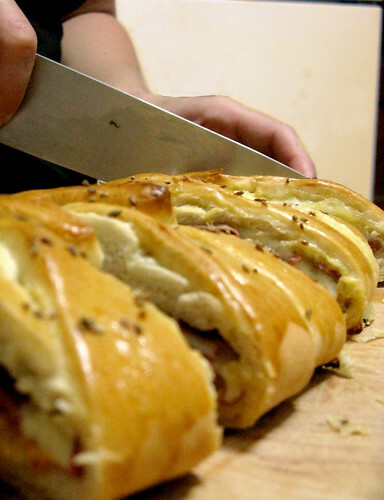 Split your amount of saur kraut, Swiss cheese slices and corned beef slices into two sections for each loaf. 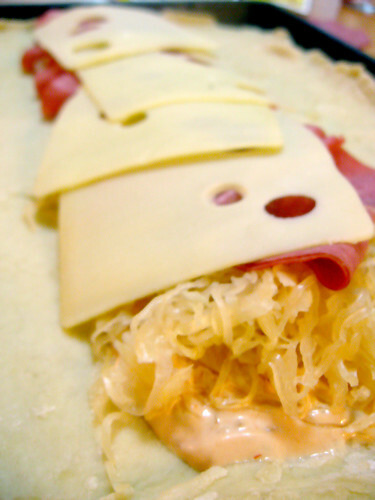 Layer the saur kraut over the dressing along the center followed by the corned beef and topped with the slices of cheese. Do you like my fancy “kitchen sheers” also known as plain scissors? Used only for food of course. 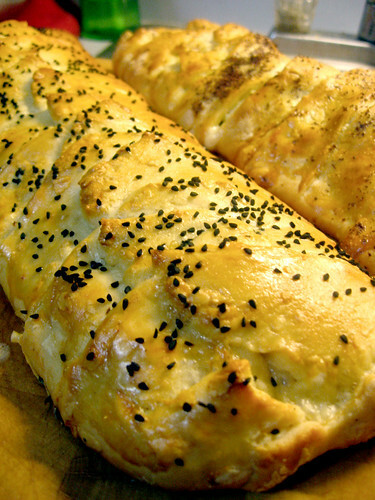 Weave the loaves: Using a knife or kitchen sheers, cut slits along the long edge of the dough approx. 1″ apart up to the base of the stacked filling. 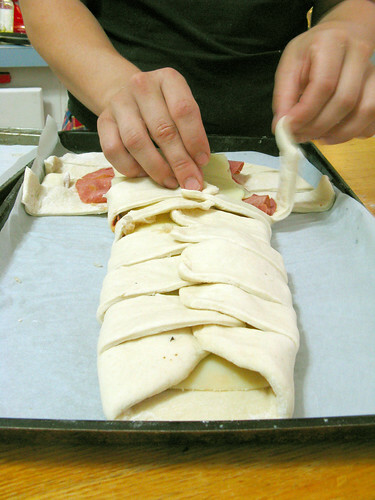 Starting at one end, fold the cut edges over on top of the filling alternating each side, to create a woven top. Allow loaves to rise: Preheat the oven to 200 degrees. When each loaf is assembled and woven, cover with a towel. Turn oven off, and place trays covered with a towel in warm oven and allow to rise for 30 minutes. By placing in a preheated oven, this will speed up the rising of the dough. When dough has risen, remove loaves from the oven and preheat to 400 degrees. This loave was sprinkled with black carraway. 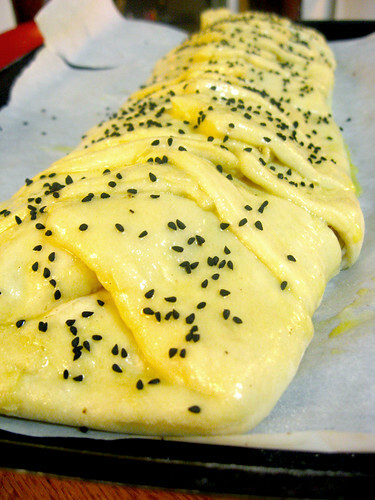 Bake loaves: Before putting in the oven, brush each loave with egg and drizzle top with your choice of seeds. Carraway, dill, cumin seed, or whatever you prefer. Bake at 400 degrees for 20-30 minutes or until loaves are golden brown. This loaf was sprinkled with cumin seed. Slice and Serve. Eat ‘em up. 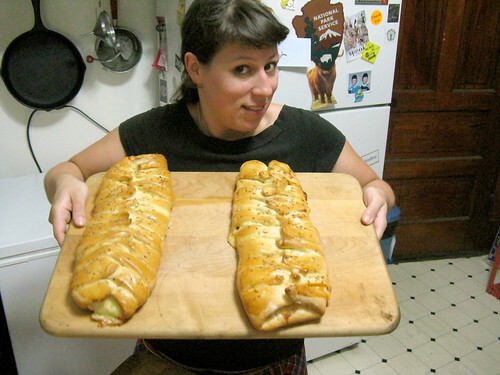 I often make a double batch and then freeze two of the loaves for a quick night dinner. When freezing, I only bake the loaves for about 10-15 minutes and then finish baking when I reheat them. 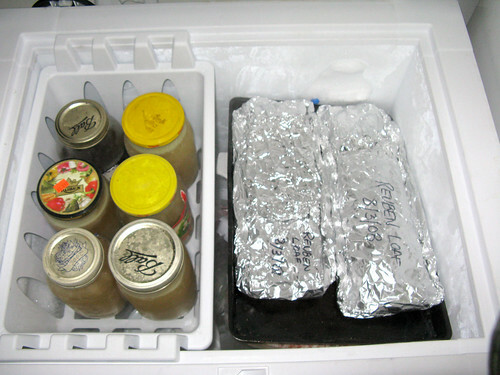 Label the loaves so you know when the went in the freezer.